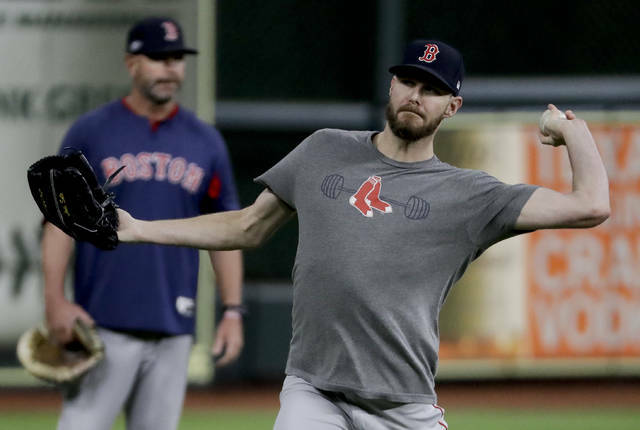 Red Sox ace Chris Sale was still feeling weak and trying to regain lost weight after a stomach illness forced him to spend a night in the hospital after he started the AL Championship Series opener against the Astros. 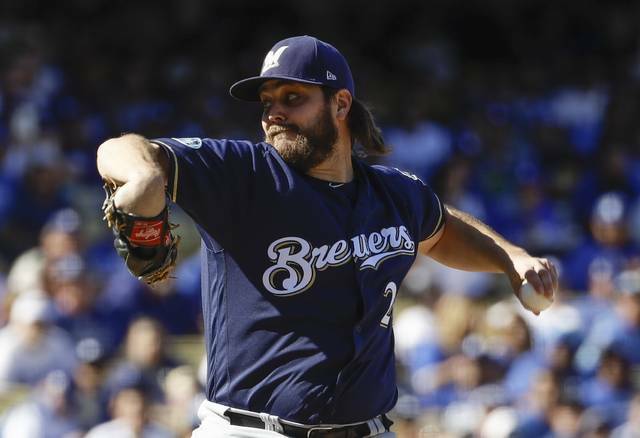 Boston had hoped to start Sale in Game 5 on Thursday night, but instead will give him a couple extra days to recover while planning to pitch him in Game 6 on Saturday in Boston, if necessary. David Price will start in Sale’s place Thursday night on three days’ rest as the Red Sox try to win the pennant. 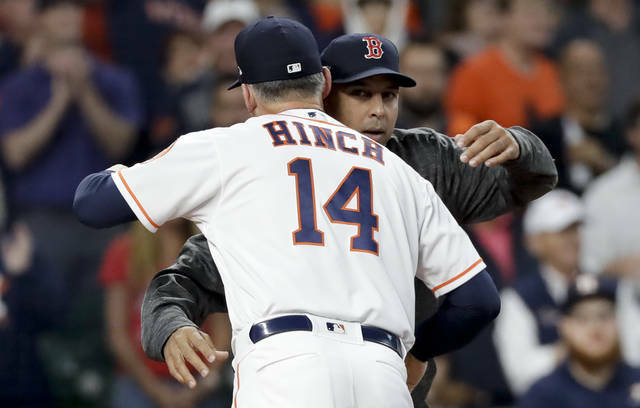 Sale threw in the outfield for 10-15 minutes Wednesday before Game 4 in Houston, but manager Alex Cora said the lanky left-hander didn’t throw a bullpen as planned.